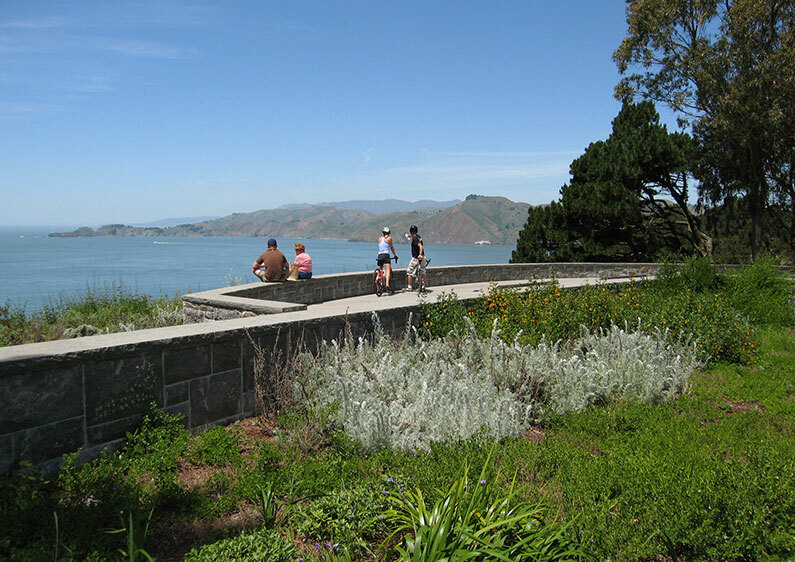 The Immigrant Point overlook in the Presidio is located on a west facing bluff with commanding views of the entrance to the Golden Gate. 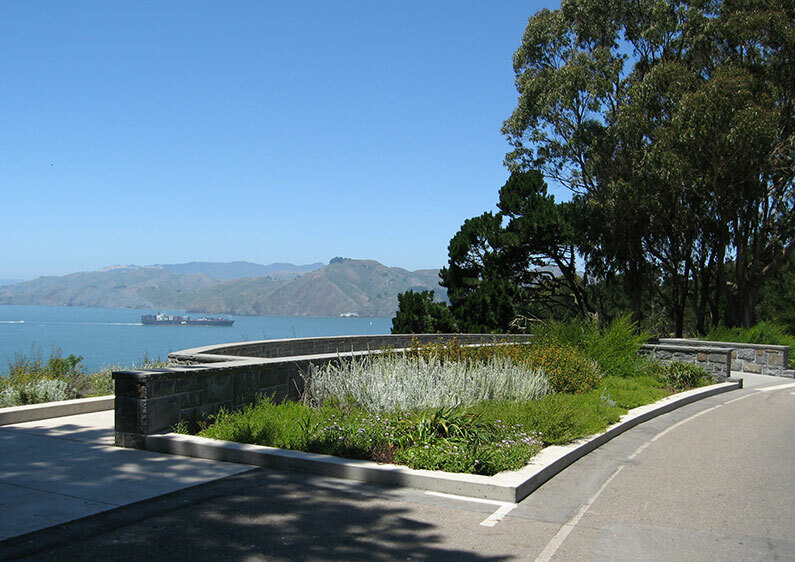 The site was identified in the Presidio Trails and Bikeways Plan as an opportunity to create an important visitor amenity for the park. The overlook is enclosed with low, stone seat walls that echo the shape of the bluff and is paved with radial cut stone that follows the gentle curve of the back wall. A massive stone bollard marks the entrance to the overlook from the Juan Batista de Anza trail that is located across Washington Boulevard. A deep planter along the street provides a buffer from the passing traffic, and the areas adjacent to the overlook are planted with species native to the project site.